Hi Gents...and Ladies of course.. I just want to share my experience of an alternative to the tried and trusted GS-911 WiFi unit....I followed some advice I stumbled across on a BMW 1600GT forum a week or two back, so I can't take credit for all of this info....there was info regarding the purchase of a OBDLink MX (Bluetooth) OBD-2 adapter which can be paired with an "Android" device...looked fairly simple so I thought I'd give it a whirl. It must be remembered to "update" the firmware of the OBDLink MX unit to the latest available, (if required), my unit only had version 4.0.1 which isn't compatible with the XR, so I needed to update. As of this writing the latest is version 4.3.2, you need to do this by plugging it into another vehicle and using the "OBDLink" Android program to download and install the firmware, I did this using my 2008 Ford Transit van as a donor vehicle. I found I couldn't do this when connected to the bike as it wouldn't connect to the bike electronics with the older firmware...once updated, it worked fine on my XR. 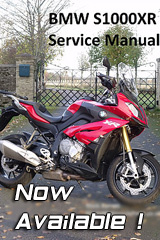 The basic demo version of Motoscan is free to download and will allow the user to at least see if the program will function with their particular bike and OBD-2 adapter. The demo version is just that, you have no ability to change anything, only to look and see "some" things...you can then buy more functionality if you wish. I tried the demo version and found it did indeed work with my XR, just need to pick your particular bike from the menu...so I paid the $62AUD for the "Ultimate" version of the program....Instantly I was able to look around the various modules on the bike, check for and fault codes which may have occurred, Mine had just one fault code which was related to a failed headlight bulb...no others were found. One thing I did notice was that in the Motoscan menu, it tells you how many km you have till the service is due, not when it's due..... was a little confusing at first until I realized what was going on...but once I understood this, I was good to go...You can also adjust the date of the required service at the same time, so if you only ride a short time of the year due to winters etc...you can adjust it to suit...pretty cool, it will then alert you of the service by date or mileage, whichever comes first...it's your choice...! Now....I well understand this unit and program cannot do all the functions the GS-911 can do but for most of us who do our own servicing, it's a good alternative...I was able to get sorted for well under $200Aussie sheckles....which IMHO is a helluva lot better than $400US dollars..! I hope this can help others out there in BMW-XR land. Thanks for sorting this out for us Smithy. It is much appreciated. You're welcome Sir....hopefully it works for the majority of us..
For those with the '15 & '16 models, can you tell me if they have the round OBD connector or the newer OBD-II type as found on the '17 models please? ?...Then I'll be able to find a source for the adapter cable to suit. My 2016 has a round connector. I bought the GS911 and it's pretty awesome. Does everything I could ask for and the WiFi connectivity is nice because you can log data or see outputs while you ride with it tucked away under the seat. Cost $400 though. Ah...thanks for that ...I wasn't too sure of the '15 & '16 models....you have confirmed my suspicions. Yeah...the GS-911 is indeed a good thing...just the cost of it turns a lot of people off. For me it's just over $500AUD plus shipping.. Thanks very much for that. Can you adjust the auto blinker cancel distance? Stock, it is set for about a km! I don't think so as yet....the software is fairly rudimentary...you can check and clear fault codes and reset the service reminder etc...but I don't think it's anywhere near as thorough as the GS-911. My question was does it have the vehicle registration limit the gs-911 has ? i.e can it only be used on one bike or multiple bikes ? My buddy has that app and cable for his RT. Works great on my XR as well. The Android software license allows you to connect to many bikes. He paid a little less than $150 USD for both. I don't care about any of the GS-911 diagnostic features. If it was able to configure things like suspension modes etc it would be worth the money. Otherwise, don't see the point.